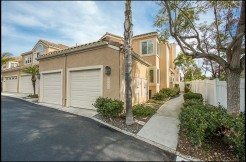 Located to the west of the 5 freeway in South Orange County, Laguna Niguel borders Laguna Beach, Dana Point, San Juan Capistrano, Mission Viejo, Laguna Hills, and Aliso Viejo. 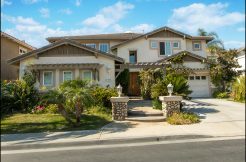 Primarily a hillside town, Laguna Niguel has designated over one-third of its land as open space, a key feature defining the character of this community. The City boasts 2 community parks 23 neighborhood parks, 3 mini-parks, a dog park, 2 county regional parks, 2 small county parks, and the new Laguna Niguel Skate & Soccer Park. The name “Laguna Niguel” is derived from the combination of the Spanish word “laguna” meaning lagoon, and the word “Nigueli” — the name of a Juaneno Indian village once located near Aliso Creek. 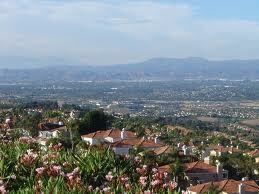 Historically, Laguna Niguel is built on a major land grant from Mexico to Don Juan Avila in 1842. Later in 1895, this “Rancho Niguel” became part of a much larger, 22,000-acre Moulton Ranch where Lewis Moulton and his partner, Jean Piedra Daguerre, raised sheep and cattle. In 1959, a portion of the Moulton Ranch was obtained by three Boston investors and the city became one of the first planned communities in California; later in 1989, the citizens of this community voted to become the 29th incorporated city in Orange County. Today, the City of Laguna Niguel enjoys a healthy business and economic environment alongside its open spaces. Many residents are employed at the Federal Building, and real estate is also a large industry of the area. The Crown Valley Community Park serves as the center of the city’s recreational programs and activities, with its community pool, outdoor amphitheater and 18-acre Niguel Botanical Preserve attracting over 240,000 visitors annually.